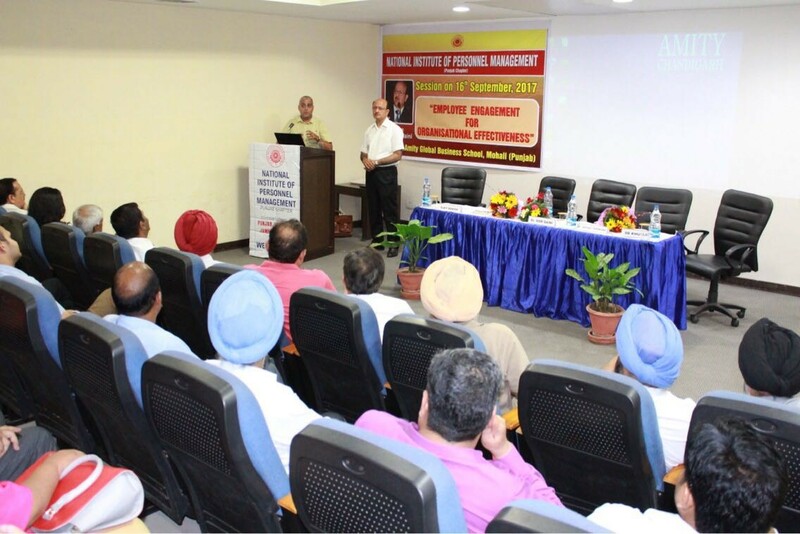 CMA members participated in a thought provoking session on ‘Employee Engagement for Organisational Effectiveness’ organised by the National Institute of Personnel Management (NIPM) on 16th September at AMITY Business School, Mohali. Dr. Som Saini was the Key Note Speaker of the session. He is Managing Director of a US Consulting Company. Dr. Saini is Masters in Political Science, Public Administration, LLB, MBA and Ph.D. besides having Diplomas in Yoga and Personnel Management & Industrial Relations. He is a Corporate Trainer. He is a Life Member of NIPM and has been bestowed upon Fellow membership of Austrialian HR Institute. The open interaction of the speaker gave us a food for thought to increase the effectiveness of Employee Engagement at workplace.